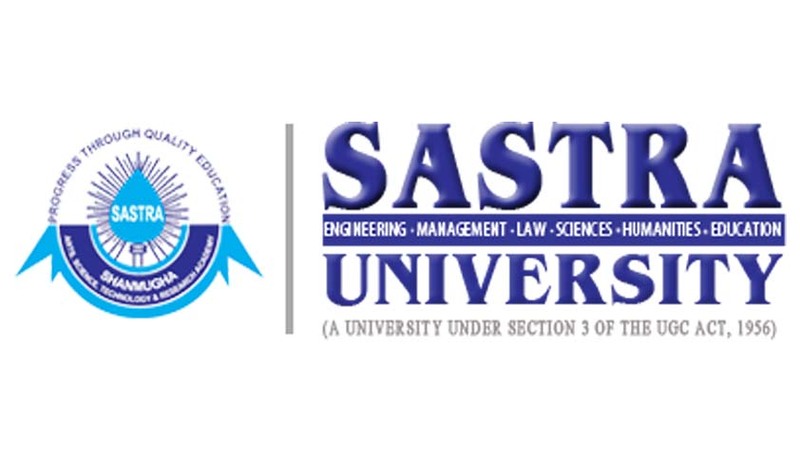 Sastra University,Thanjavur has invited applications from the eligible candidates for the courses B.A. LL.B. (Hons.),B.B.A. LL.B. (Hons. ), B.Com. LL.B. (Hons.) for the academic year 2015-16. Criterion for Admission: The admission will be based on the score of CLAT 2015 and +2aggregate taken in the ration of 25% and75& respectively. The candidate may download the application form from the website and submit with the Rs.300/-.at OFFICE OF ADMISSIONS SASTRA UNIVERSITY Thanjavur – 613 401, Tamil Nadu. On receipt of the filled application form and fee, the applicant will be intimated of the application number by e-mail. The candidates may also register online All applicants submitting the application form online will receive a unique User ID and Password in your registered Email ID on payment of the application fee. With the user ID and password, applicant can edit the e-form and fill qualifying marks like +2, CLAT, etc. as and when they are declared.